Organization Endowments are established for the benefit of designated nonprofits, educational or religious institutions. Individual donors or the nonprofits themselves may establish these funds, which provide support now and enhance the resources the organizations will need in the future. Field-of-Interest Funds enable donors to focus their giving on the issue or cause they care about most. TACKLE Fund – supports organizations that bring comfort to local cancer patients. Jason Mead Scholarship Fund – awarded in memory of Jason Mead, a graduate of Gaylord High School, to a student who has participated in music activities (curricular or extra-curricular) activities and plans to attend an accredited college, university or institution of higher learning. Open to GHS and St. Mary graduating students. Louis and Rose Marie Tebbe Fund – awarded to a hard working student. Preference given to students of military families or those pursuing a medical career. Treetops Scholarship Fund – awarded to Otsego County residents that are pursuing higher education at either vocational or academic institutes. Preference given to students who have or are overcoming some kind of adversity, students that are interested in the hospitality field or those that have relatives that are or have been employees of Treetops Resort. 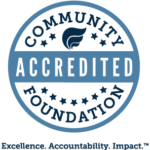 The Community Foundation depends on its unrestricted resources not only to proactively address the changing needs of the Otsego community, but also to facilitate innovative responses to community problems and enhance the quality of life for all residents.